Since Roe v. Wade was wrongly decided in 1973, over 55 million babies have been aborted. 55 million little lives sacrificed on the alter of convenience. 55 million would-be mothers bearing an ungodly burden of having made a God-like decision to kill their unborn infants. Dr. Anthony Levatino has practiced obstetrics and gynecology since 1980. As a part of his medical training, Dr. Levatino was taught to do abortions. He provided abortions for his patients in his office for eight years. In 1985 he quit doing abortions and is now in private practice as an obstetrician gynecologist. That is what it took to get me to change. My own sense of self-esteem went down the tubes. I began to feel like a paid assassin. That’s exactly what I was. It got to the point where it just wasn’t worth it to me anymore. It was costing me too much personally. All the money in the world wouldn’t have made a difference. So I quit. I slept a lot better at night after that. Dr. Levatino’s change of heart has compelled him to be an outspoken advocate for life. 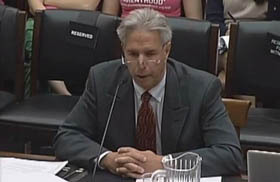 His testimony proves, when faced with the reality of what abortion is — the gruesomely painful killing of a baby — people can change their minds. Hearts can be touched and lives saved. Time to speak out loudly for those little ones who have no voice, but most certainly have the right to life endowed by their Creator.